With sudden interruptions in electricity that shuts down current, it is important for us to have an alternate power supply that will supply energy for our lights. This is so because when night comes, it is hard to do something when we are in total darkness. With this need, there are inventors and innovators who came up with a very intelligent solution to this kind of problem. Introducing the solar powered lights! 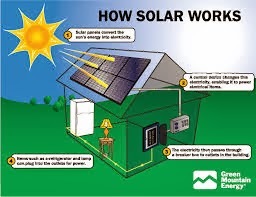 The use of solar panels: With the development of the solar panel of semiconductor cells usually made up of silicon, there is absorption of energy from the sun converted to the kind of energy needed for the possibility of light. With the use of this kind of technology, many an many of consumers of electricity saved money from increasing bills. The fact is, you can be free from making use of commercial electricity for your light to work. The increase in efficiency: With recent technological advantage nowadays, the forms of solar panel lights are changing in such a way that it is withstanding any situations in the economy. As a result, more and more people are buying the products in quest for economic lights. Another advantage of making use of solar panel lights is that you can bring this up wherever you would like to go and make use of the stored energy coming from the sun to make light possible. Recently, there are areas that are devastated by calamities and because most of the electrical posts fell, the best possible way for people to acquire light is by means of making use of solar panel lights brought by people who are helping them. It means to say that this kind of technology cannot just be used inside the house but it can be shared also to others who are lightless at the moment. This is such a remedy!